Permits have been filed for a six-story residential building at 552 Prospect Place in Crown Heights, Brooklyn. The site is a block away from the Park Place subway station, serviced by the S trains. Six blocks away is the Brooklyn Museum. Stephan Tchorbajian of Hye Rise Consulting is listed as behind the applications. The 70-foot tall structure will yield 34,340 square feet, with 22,720 square feet dedicated to residential use. 22 apartments will be created, averaging 1,030 square feet apiece, indicating condominiums. Residents will have a lobby along with storage, an indoor recreation room, and private terraces on each floor above the first floor. A rooftop terrace will be accessible to all tenants. 12 parking spaces will be included on site. Jeffrey Kamen RA will be responsible for the design. Demolition permits were filed for the existing structure in late June of this year. The estimated completion date has not been announced. 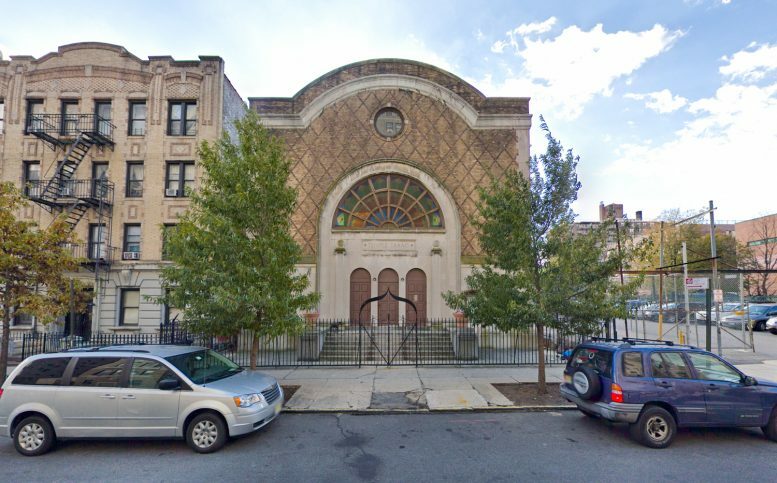 4 Comments on "Permits filed for 552 Prospect Place, Crown Heights, Brooklyn"
The photo shows the former Temple Isaac (now Faith Chapel Baptist Church) at 554 Prospect Place (not 552). Is that to be demolished as part of this plan, or is the photo in error?